ATTention Builders! Seller will consider holding the lot until your spec home closes. Call for details! 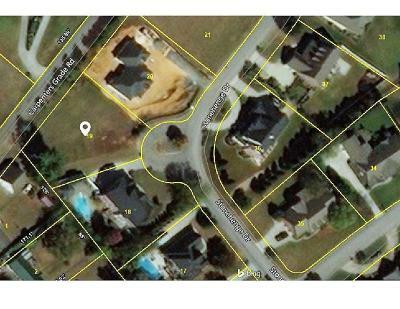 Approx 1/2 an acre with city water and sewer located on cul de sac in the prestigious Whittington subdivision. Natural gas at street too. 2400 Sq ft one story minimum & 2900 sq ft minimum for a two story. Close to all amenities like the Clayton Center for the Arts, 30 minutes to Tyson McGhee airport, 45 minutes to the Great Smoky mountains. Buy now and build later or build custom home now. Floor plans available.